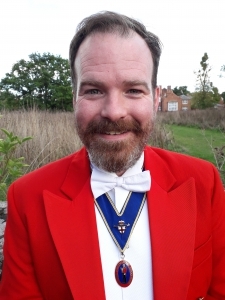 Hello, my name is Jason and I am a Toastmaster and Master of Ceremonies based in Lancaster, UK. I have had many years’ experience in the entertainment and travel industries, hosting and managing events. Using my skills as a confident and witty raconteur, I have entertained audiences on radio shows across the North West of England and in a variety of drama productions. As your Toastmaster or Master of Ceremonies, I will put you at the heart of my work. Knowing that I have everything under control, you can relax and enjoy yourself with your guests. Your event will be managed with the utmost warmth and professionalism allowing everyone to feel special on your memorable day.